Got a Griever in Your Office? Stop Referring Out! Got a Griever in Your Office? depression and anxiety before sending them to a grief group. Grief is one of the top 3 reasons that people come to therapy. Therapists’ trainings don’t usually have specific information on how to address grief with our clients. Yet, unresolved grief from significant losses (not only related to the death of a loved one) often underlies the depressive and anxiety symptoms that lead clients to our offices. The Biggest Mistakes Therapists Make When Their Client has had a Major Loss … and how to avoid them. How to help your clients with preparing for significant holidays/anniversaries without their loved one. Identify at least 3 theoretical orientations re grief. Identify at least 5 symptoms that indicate unresolved grief. Identify at least 3 ways to address grief directly with clients in the office. Identify 10 questions to use in session with a grief client. Identify strategies for dealing with clients’ holiday and anniversary reactions. Debi Jenkins Frankle LMFT, Grief Recovery Specialist. Debi has been working with grievers for over 25 years. She and husband, Mark Frankle LMFT, are the co-founders of the Calabasas Counseling and Grief Recovery Center. Debi is the founder of the Los Angeles Consortium of Grief Professionals Workshops and Trainings for Mental Health Professionals. Debi’s areas of expertise are grief, trauma, medical family therapy, and emotional effects of chronic illness. 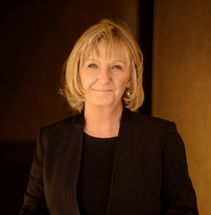 Debi has led trainings for grief counseling professionals throughout the United States and Canada, in addition to presenting for CAMFT (California Association of Marriage and Family Therapists), SFV CAMFT and various organizations throughout Los Angeles. Debi is a past president of San Fernando Valley chapter of CAMFT, past committee co-chair of the Crisis Response Network for SFV CAMFT and a member of the Association for Death Education (ADEC) and American Academy of Bereavement (AAB). You can join her Facebook Group Private Practice Grief at http://bit.ly/PrivatePracticeGrief and find more information at Calabasas Counseling and Grief Recovery Center. Please be aware that the Insight Center is on the second floor with only stairway access.